This is the perfect discount minivan for you or first vehicle for your teen! Snag this Calla Lilly White 2009 Volkswagen Routan SE with RSE AS IS at WHOLESALE PRICING! 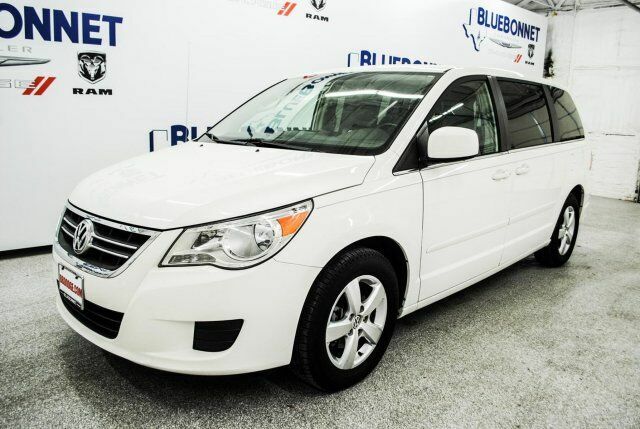 This spacious minivan features durable gray cloth interior, tinted windows, a 3rd row, touch screen display, MP3, SIRIUS XM radio, Bluetooth, a backup camera, DVD entertainment, power seats, cruise control, an automatic transmission, & more. This wagon was built reliably and is still in wonderful condition! The high mileage is a non-factor considering the 3.8 LTR V6 engine is designed to last for safely hauling the family around! Make each ride one of joy & pleasure. We are practically giving this awesome caravan away, so call or come see us today! If you have any questions about this amazing find or any of our other vehicles, please call our sales office. Thank you for your interest & we look forward to hearing from you.